Free agent Daniel Murphy signs a two-year deal with the Colorado Rockies worth $24 million. The Rockies lost DJ LeMahieu to free agency this off season, so it makes sense they’d go out and get Murphy. However, it’s not likely to be a straight replacement. The belief is Murphy will play most of the time at first base, Ian Desmond will move back to the outfield to replace Carlos Gonzalez after his departure to free agency and then give rookie Garrett Hampson the chance to play second base. Ryan McMahon also figures to play some but at present is seen as a utility infielder. Given Murphy will be 34 at the start of the season and is a below average fielder, this would make most sense. 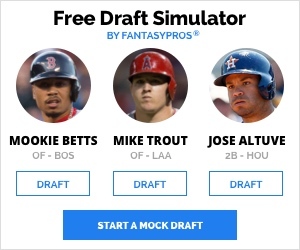 Murphy’s draft positions on NFBC have been dramatically affected by his signing with the Rockies. 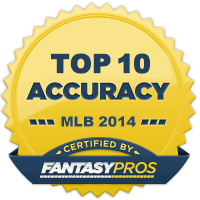 Prior to the move, in 38 live drafts Murphy had an ADP of 160, the earliest he went was 96th and the latest was 231st. Since becoming a Rockie, Murphy’s ADP is 95 after 17 live drafts, going as early as 36th and no later than 142nd. 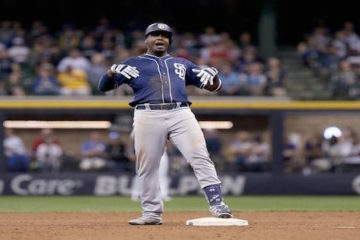 Of course, moving to the best hitters’ ballpark is obviously going to be huge for his value and getting first base eligibility early in the year will also be a nice boost. But he missed two and a half months at the start of last year after knee surgery and is soon to be 34 so there are red flags involved here. 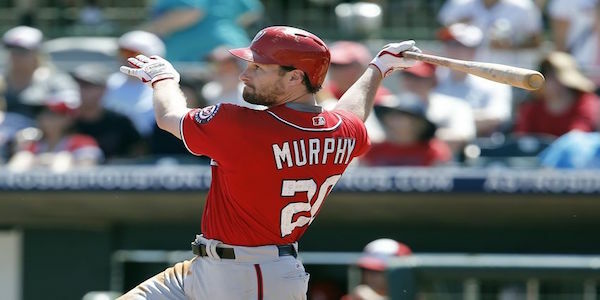 On his return from knee surgery last year, Murphy struggled but ended the year with a .299 average and 12 homers in 91 games between the Nationals and Cubs. Murphy’s underlying numbers don’t suggest regression though. The last three seasons his line drive rates have been 2016 – 21.8%, 2017 – 27.6%, 2018 – 25.8%. Fly ball rates? 2016 – 41.9%, 2017 – 38.9%, 2018 – 39.2%. Only one second baseman had a better line drive rate in 2018 and that was Whit Merrifield. There are nothing on his numbers to scare me away from Murphy, the only question mark is the health but since 2012, Murphy had played in at least 130 games every season so maybe that question mark isn’t truly warranted. Murphy also projects to bat second in the Rockies lineup, behind Charlie Blackmon and ahead of Nolan Arenado which is possibly the best spot to hit in baseball. Any regression in skills through age should be mitigated by the move to Colorado and possibly moving to first base might help a bit too. Any return to the 2016/2017 Murphy where he hit a combined .335 and 48 homers will present a top second base option. I’d expect Murphy to be around the 5th or 6th second baseman drafted in the coming weeks. He’s clearly a must own in all formats and I’d be comfortable taking him in the 7th round where any injury worry is factored into the cost. As mentioned, moving Murphy to first base opens up the second base spot for Garrett Hampson, currently ranked as the Rockies’ 4th best prospect on MLB Pipeline. This is notable as Hampson’s main strength is his legs, with 123 stolen bases in his three years in the minors. Hampson has hit over .300 across all four levels and has a .389 OBP as a minor leaguer. He likely won’t take advantage of Coors Field’s cavernous outfield with line drives and fly balls the way Murphy will, but in these speed deprived times, Hampson is a great late pick (currently has an ADP of 189 on NFBC). Has Anyone Noticed Michael Cuddyer?